On March 29, 2018, the New York State Court of Appeals, New York’s highest court of appeal, rejected actress Lindsay Lohan’s contention that the character “Lacey Jonas” from Grand Theft Auto V (“GTAV”) appropriated her likeness. A similar suit by Karen Gravano (a “Mob Wives” personality) regarding the “Andrea Bottino” character from GTAV was rejected on the same day. Lohan alleged that at least two parts of GTAV unlawfully duplicated her likeness. First, in an “Escape Paparazzi” event, a female character named “Lacey Jonas” (who describes herself as a “really famous” “actress slash singer” and a “voice of a generation”) hides from the paparazzi. 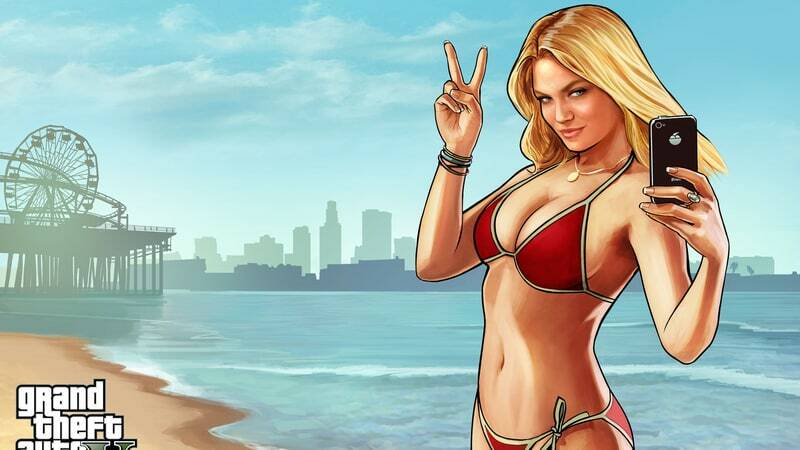 Second, a “Beach Weather” splash screen in GTAV allegedly duplicated Lohan’s likeness. That image is duplicated below. The Court rejected Lohan’s argument, finding that both “Lacey Jonas” and the woman depicted in “Beach Weather” were “indistinct, satirical representations of the style, look, and persona of a modern, beach-going young woman that are not reasonably identifiable as [Lohan].” This is arguably a formal way of saying that self-important blonde actresses aren’t exactly in short supply in Los Angeles. Though Lohan and Gravano lost, the Court’s ruling did hold that an avatar, such as a videogame character, may unlawfully misappropriate the likeness of an individual. Developers may want to be cautious in view of this holding–the wrong cutting edge satire could invite a lawsuit, no matter how poorly-founded.